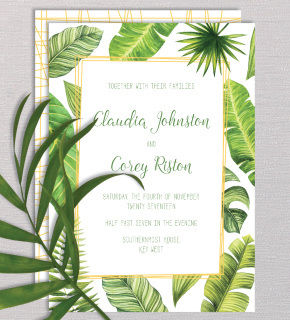 Be sure your guests will say yes with this modern invitation; featuring an illustrated protea and leaves with geometric accents; printed on luxuriously thick cotton paper. Back can be made with or without your hashtag. 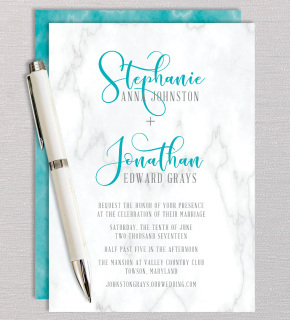 Gorgeous calligraphic fonts and marble textures are sure to stun your guests; printed on luxuriously thick cotton paper. 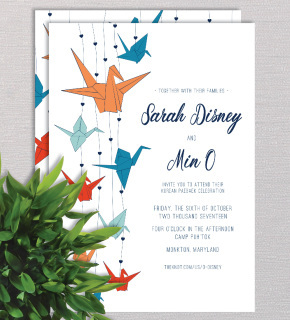 In the Asian culture cranes are considered the birds of happiness, excite your guests with the perfect invitation to your wedding celebration; featuring hanging origami cranes and hearts; printed on luxuriously thick cotton paper. 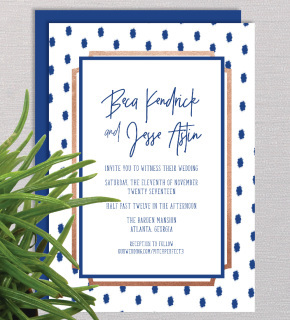 Make it hard for your guests to say no with this whimsical invitation; featuring watercolor textures and geometric triangles; printed on luxuriously thick cotton paper. 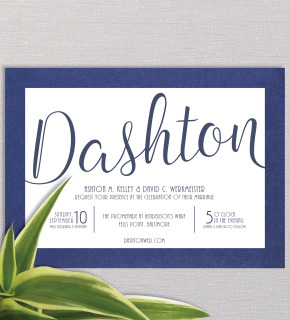 Excite your guests with this simple and modern invitation; featuring large text with a brushed ink font; printed on luxuriously thick cotton paper with a black backer. 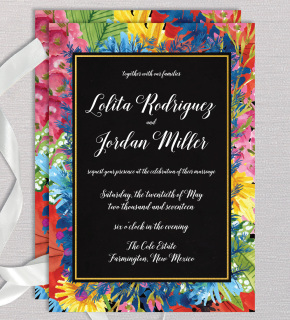 Your guests won't be able to wait to respond with this bright floral wedding invitation; featuring colorful wildflowers with gold* accents and chalkboard textures; printed on luxuriously thick cotton paper. 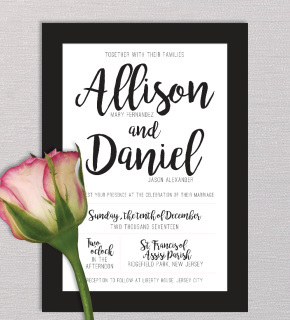 ​*Gold is an image of gold foil and will print flat. 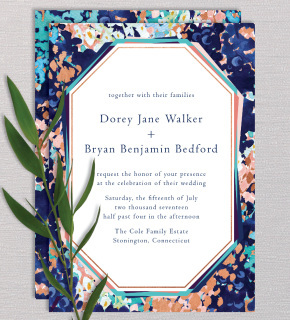 Wow your guests with this abstract design; featuring navy, teal and blush floral elements with copper* accents; printed on luxuriously thick cotton paper. 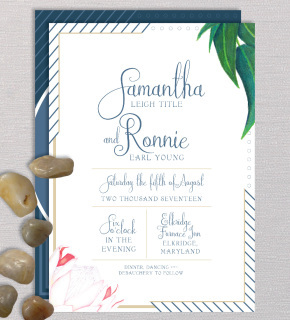 ​Fun Fact: I chose the sample names for this invitation while watching Miracle on 34th Street, the '94 edition. I wonder what happened to that little girl? 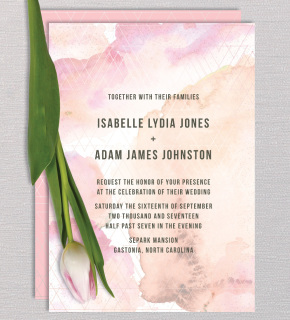 ​*Copper is an image of copper foil and will print flat.